DVP-SR600H SONY SR600H DVD Player Slimline DVD player with HD upscaling for your favourite movies	3.368,00 ден. SAMSUNG 3D BLU-RAY DVD BD-E5500	7.899,00 ден. SAMSUNG DVD 5 1 Home system model HT-E330EN	8.900,00 ден. Philips HTD3540/12, DVD Home theater 5.1 black	9.900,00 ден. 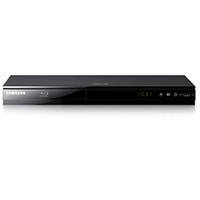 SAMSUNG DVD 5 1 Home system model HTE350EN	10.950,00 ден.